The latest ICE data show that financial positioning in Brent is even more bullish, with net longs at a record of 403 million barrels, up 13 percent last week. 3) A piece from the WSJ this weekend highlights how U.S. oil producers are increasingly hedging their exposure, and at levels they rejected a year ago because they considered them too low. Despite this uptick, U.S. producers have only hedged ~36 percent of their expected output for 2016; historically, they have hedged closer to half their production. Pioneer Natural Resources, one of the most active hedgers, has taken advantage of the recent rally to place more hedges. It has now covered 50 percent of its 2017 production, up from 20 percent. 5) Oil and gas mergers are expected to pick up this year, as financially constrained companies put themselves up for sale to avoid bankruptcy. As the chart below illustrates, oil and gas mergers fell in 2015 by 2.5 percent to $469 billion, from a record $481 billion in 2014. 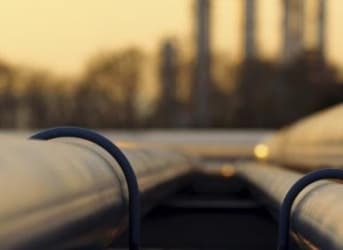 One thing that may derail such a pick-up in mergers is the renewal of credit lines in the oil and gas sector – it’s been an uneventful redetermination period thus far. Illustrated by companies such as Cheasapeake in recent weeks, even those who are highly leveraged are managing to get their credit lines renewed. And even where borrowing bases are being adjusted lower, they are not being cut by more than expected. 6) Finally, after an exceptionally weak start to the year, our ClipperData show Chinese waterborne crude imports are going nuts. A rebound in the last few months means that imports are up year-to-date compared to last year, while April’s import volumes are thus far at a record pace. Teapot refiners continue to show a voracious appetite for crude imports, although broad-based buying this month points towards a Chinese economy which is potentially turning a corner: Related: Can This Pipeline Unlock East-African Oil Potential? So we have all the producers hedging (which I presume adds short positions), and yet the short positions are "tumbling". I am probably underestimating the structural complexity of producer hedges, but at the end of the day, they still offer to sell barrels at the current price of a given future. How is the distinction made between a "speculative" long, and a need-based hedge (of, say, an airline)? Do I sound as if I was long myself? You betcha.